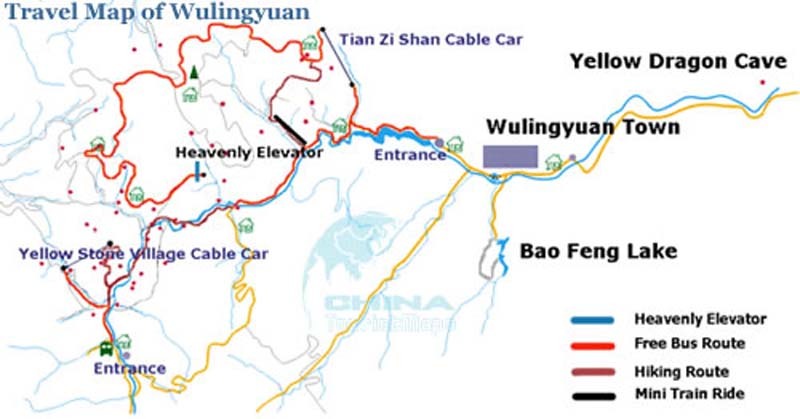 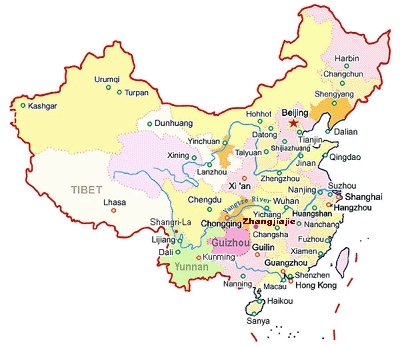 Here is a simple and clear travel map of Wulingyuan Scenic Area, which is highly focused on how to have your tour in this area with mapping of the main tourist sites such as Wulingyuan Town, Yellow Dragon Cave, Bao Feng Lake, etc. 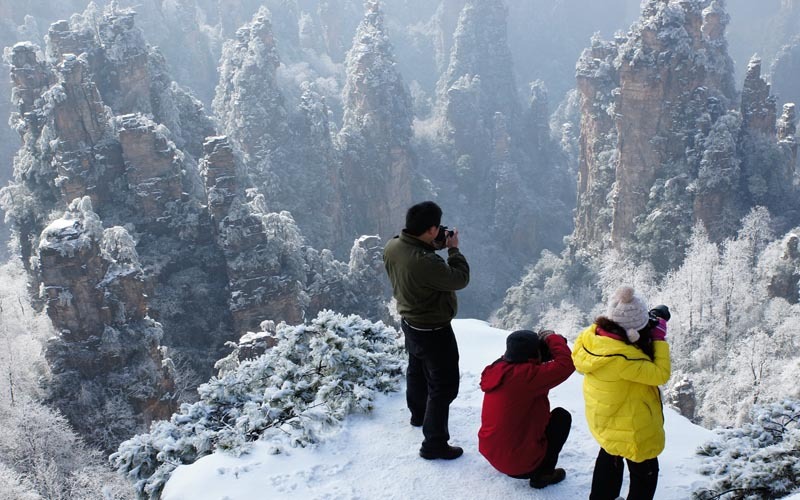 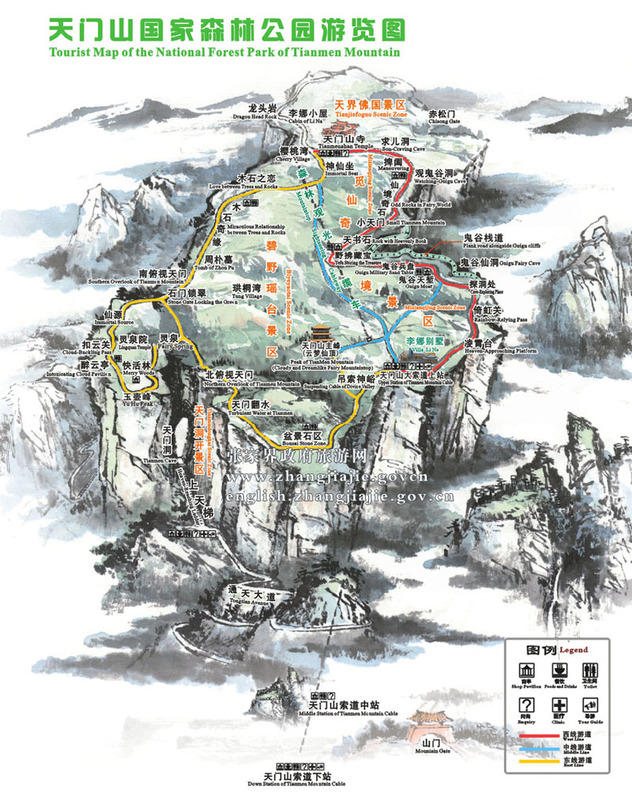 This is a detailed and clear tourist map of Zhangjiajie, which is highly focused on not only mapping the locations of all scenic areas, but also showing the tourist routes, essence tourist routes and cables. 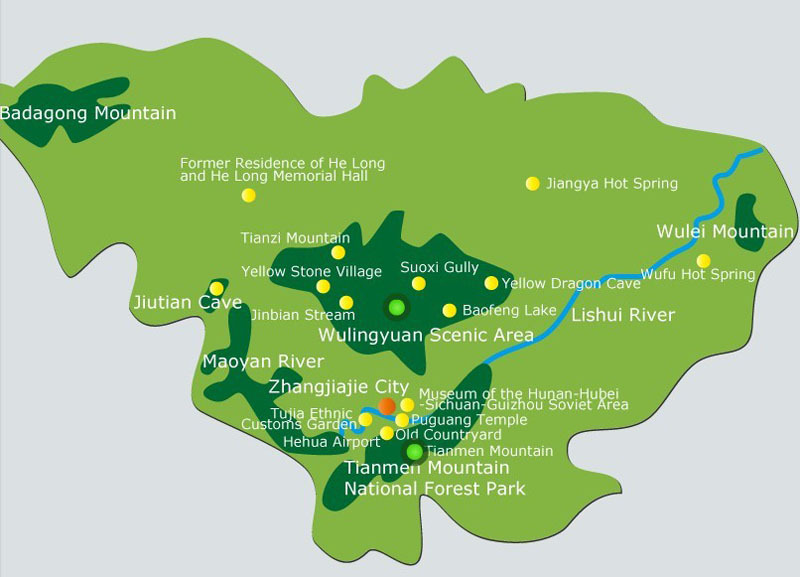 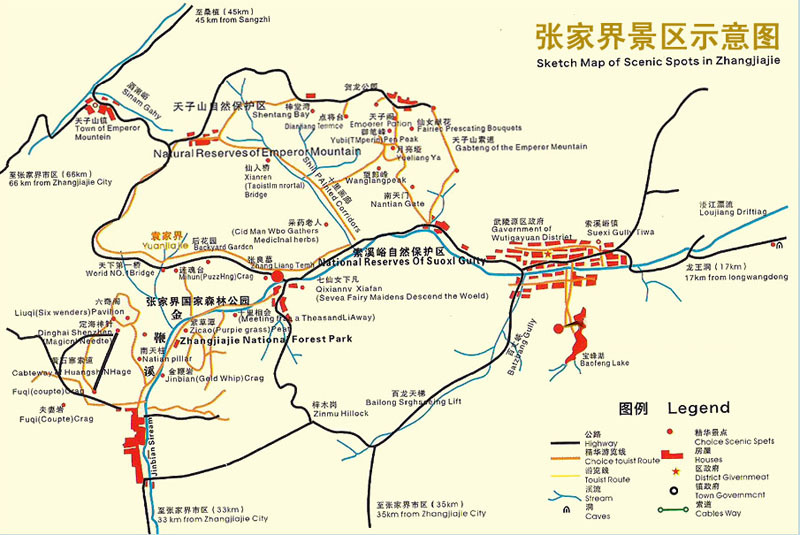 Map of Zhangjiajie, Hunan, China. 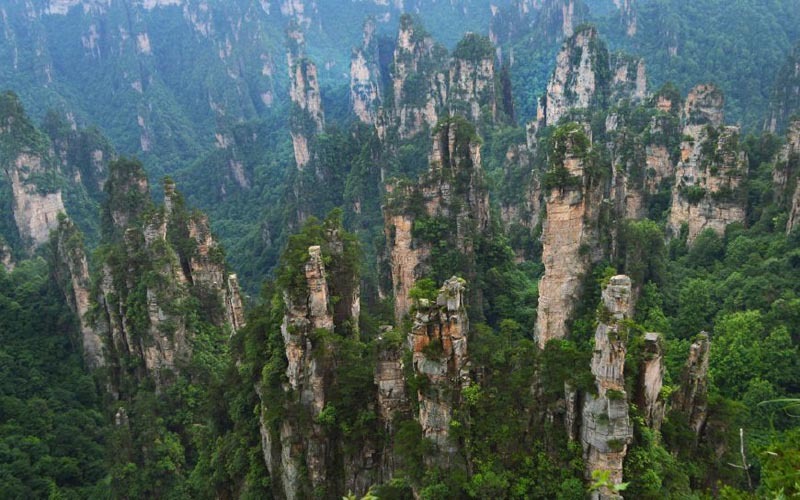 Zhangjiajie is one of famous cities for the unique mountains and green scenery.